On October 1, 2013, thousands of uninsured Connecticut residents gained the opportunity to enroll in health insurance coverage through the state’s marketplace, Access Health CT. Yet, at the time that enrollment began, no one knew how well the process would go — particularly among hard-to-reach populations. The Foundation commissioned an evaluation that focused on how well low income and people of color were served by the enrollment process. We enlisted the help of Community Alliance for Research and Engagement (CARE) at the Yale School of Public Health, who had extensive experience conducting surveys with hard-to-reach populations. CARE conducted over two hundred in-person and telephone surveys and conducted extensive interviews of the assisters and navigators who participated in the enrollment effort. 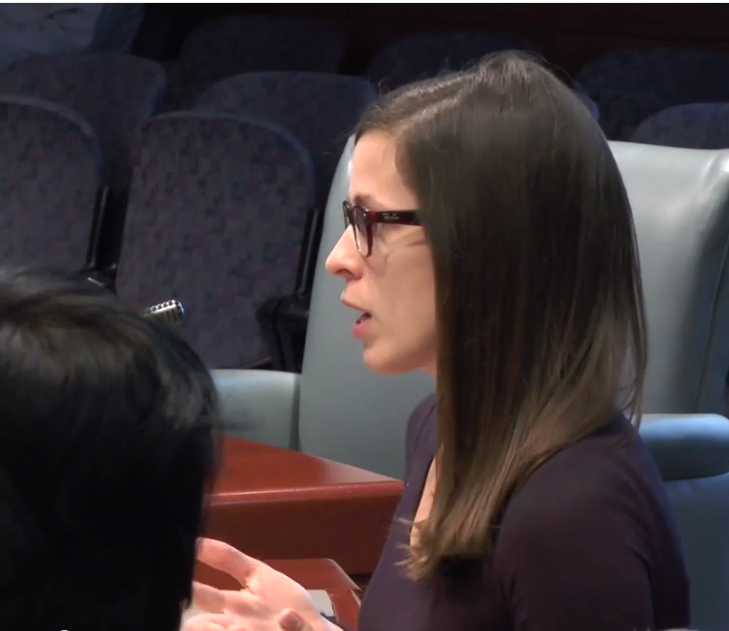 Testimony being given at an Access Health CT meeting in support of in-person assistance. The results of the survey showed high rates of consumer satisfaction and success in enrollment. The results were used in an intensive advocacy effort to maintain in-person assistance support during the 2014-2015 open enrollment period. The survey has also received national attention. 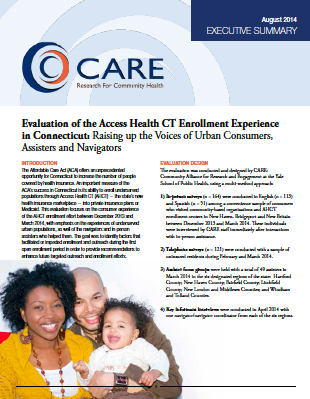 Read the executive summary and the full report, titled: Evaluation of the Access Health CT Enrollment Experience in Connecticut: Raising up the Voices of Urban Consumers, Assisters and Navigators. A special thanks to the two other funders who supported and collaborated with us on this work: Connecticut Health Foundation and the Patrick and Catherine Weldon Donaghue Medical Research Foundation.